On the seaside where you can return to yourself, the time to regain yourself in a stress free way. Please enjoy enjoying your stay in the hotel. After passing through the hotel's approach, there will be a lobby with a feeling of relief and a sense of relief. First of all, I got a breath with a welcome drink and cookie. If you are Private Bath to use a Private Bath, please make a reservation here. Room feels like warmth of wood reminiscent of Asian resort. In the room, a welcome champagne is also available (depending on the time limit · plan), and the future stay will be more enjoyable. 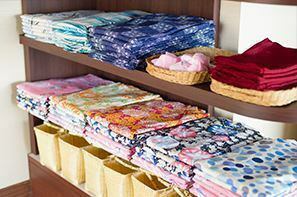 It is okay to relax in your room or you can enjoy the stalls in the room at once. Relax and enjoy yourself while talking about your memories of the day. Inatori Tokai-hotel Yuen<Main Building> located just in front of you, we offer men's and women's bathrooms and Inatori Tokai-hotel Yuen baths.There are 16 kinds of variety of ocean view baths available for free. SAZANA food crafts prepared a variety of dishes tailored hard. The main steamed kimme sea bream with original bottle with dish using headpiece Kimme sea bream's Inatori Specialty. You can enjoy a dish with original taste condensed. In a private space equipped with a stall shower, you can relax and get tired of the body. After bathing, we also have a free drink in the common room so please enjoy yourself to your heart's content. 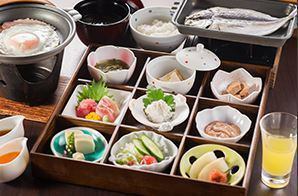 A rich variety of local ingredients, rich in color and balanced Japanese food set meals. The day which begins from now will be fun from the morning. Even after breakfast, enjoy the hot springs and nature with the leisure of the bath in the room. After check out at 10 o'clock (normal), enjoy the wonderful journey that remains in memories while being surrounded by rich nature in the temperate climate of Izu.